This week marks the 25th anniversary of an extraordinary experience which drew me into a groundbreaking investigation and a potential breakthrough research direction. 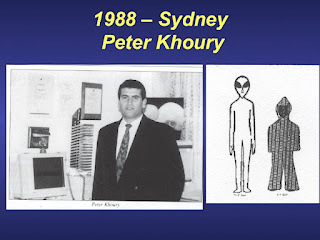 Peter Khoury had a bizarre experience on July 23, 1992, in Sydney, Australia. 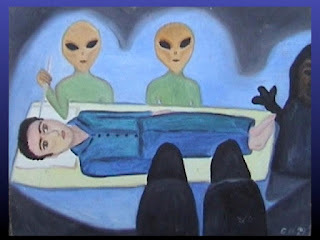 He had a shattering experience on July 12, 1988, which he was ultimately able to understand as an alien abduction. It changed his life. 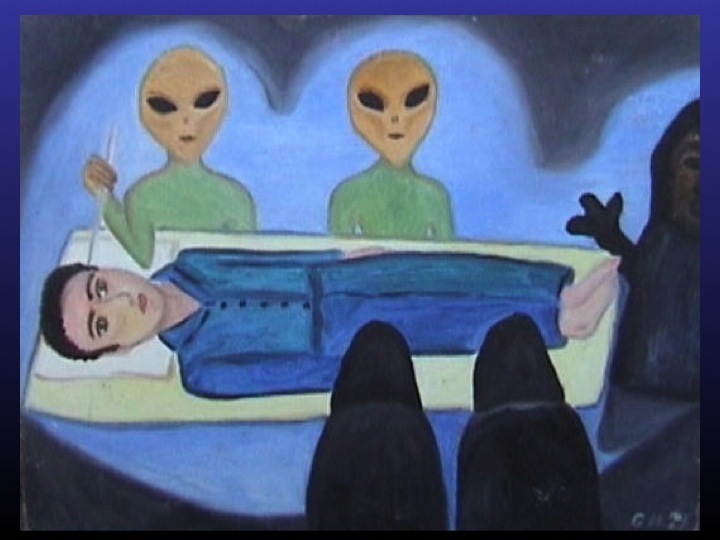 He would go on to help others who had similar experiences by establishing the UFO Experience Support Association (UFOESA). But nothing prepared him for the July 1992 episode. It was so shocking that Peter would only share the experience with his wife and a few close associates. "Hair of the Alien" brings us closer than ever before to understanding our past, our origins, and our place in the universe" - from the back cover of the book. (Susan Brownie had raised Peter Khoury's 1992 experience with Dr. Tyler Kokjohn, a professor of microbiology at the Midwestern University Arizona College of Osteopathic Medicine. He has been a sceptical player in this area but has advocated the application of DNA technology to assess the credibility of alien abduction and “hybrid” claims. I wonder what Dr. Kokjohn thinks of the Peter Khoury case, out of Australia. Investigator Bill Chalker and his colleagues did lots of work on the hair samples, which though not showing any 'alien' dna, showed very peculiar diverse ethnic readings in the same hair shaft of the female 'alien'. There's plenty of articles on the web (and of course Chalker's book) which explain it better than I can. Susan - I find the Khoury case to be extremely interesting. Bill Chalker was one of the first investigators in this area to recognize the potential power of DNA analyses. Although the results were not definitive, he did the hard work and reported what he observed. One simply cannot ask more of a scientist and I applaud his efforts. Perhaps one day he or others will uncover the hard genetic evidence of alien contact. Science can be an endurance test in which one fails until you succeed. It will only take one to change our worldview. Tyler, Thank you for responding to my inquiry! 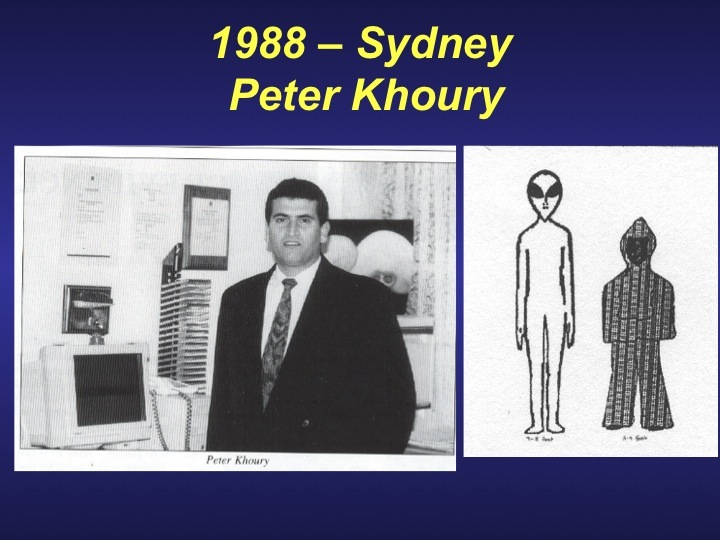 I remember when I first read of the Peter Khoury case and the DNA results on the hair shaft from the intruder 'woman'; I had a chilling thought that this person may have been somehow cobbled together (for lack of a better term) by a non-human or human (MILAB) agency. Of course none of the hair shaft results support the idea of a human~alien hybrid, but it's mysterious and investigator Bill Chalker was certainly ahead of the game at the time, to seek out and utilize scientific testing methods on the hair. I hope other investigators (and proactive experiencers) do the same. Hi Keith -- I've been thinking about Peter's case for 20 years, but recently something occurred to me that had never occurred to me before. And it's such an obvious thing: surely the hair was "meant" to be found? To be wound around the foreskin in such a way - that couldn't happen naturally. It had to have been placed that way by one or both of the entities for Peter to find. And if that is the case, one must conclude that the entities WANTED him to have physical proof of the encounter. Thoughts? Sorry, I meant "Bill, not Keith!